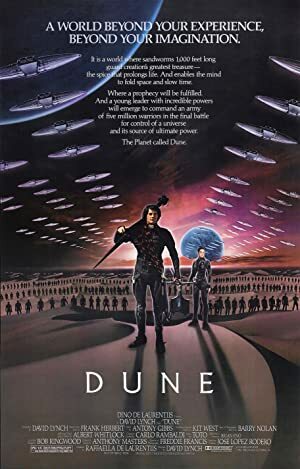 For our newest episode, we subjected Jena to the 1984 train wreck that is David Lynch’s Dune! We are joined by two special guests. First is Kelvin Hatle, who has an unholy love for bad movies great and small. Second is Jerry Belich who, along with Melissa, produced a Swede version of the film that you can (and should) watch on Youtube! We try to make sense of a film that almost works on many levels and yet completely fails on all of them. Who knows if we succeeded? We added the horrible song that Tim wrote for the credit sequence of the Dune Swede. It is after the closing music to the podcast. If you’d like to download your own version of the song (though we don’t know why you would), you can do that here. Our June 15th episode will be about Cabaret and features special guest Windy Bowlsby! Plot: A Duke's son leads desert warriors against the galactic emperor and his father's evil nemesis when they assassinate his father and free their desert world from the emperor's rule.